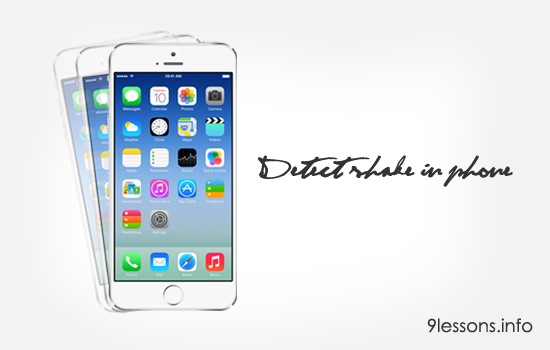 In this post I want to explain you how to implement phone shake detection using jquery. Using this I had implemented an interesting concept that shake the mobile device and get the product discount. Very easy to use add this to your e-commerce project, sure this user experience feature will attract the people for more sales. Please try these live demos with your mobile device, this works with mobile web browser device accelerometer. Note: Try this demo with mobile device. Product table contains all the product details. Contains PHP code, getting product details from products table. Set the viewport meta tag for mobile view. This will display product discount. You have to modify database configuration details, before trying this enable php_pdo extension in php.ini file. Funny idea, to change shirt colour with a shake! Nice marketing tip! This is Cool idea. It,s amazing. I will try it for myself. Is it able to load image using ajax on mobile ? loved the concept of shaking phone to get discount. Myntra/Flipkart should make use of this concept. Amazing, Thats very good coding. Ended up to your site ,was looking for the same to implement in my new app . Thanks for the script , it is awesome and works perfectly for me.But can someone help me out with the picture changing script(the one in the images.html).I want the code to get url's of the images of products from my database rather than I manually providing it.It will be of great help,Thanks. Such a perfectly made script, i need it for a long time. hank you srinivas.